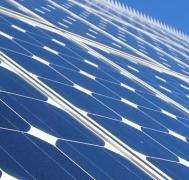 A new photovoltaic manufacturer from Germany has announced the entry on Romanian photovoltaic market in 2013. A new power plant will be developed near Craiova, according to the new signed agreement, by Conergy. The plant will have approximately 9,200 modules, all of them manufactured by Conergy. After developing photovoltaic power plants in eastern Europe, Romnania has become a point of interest thanks to the certificates scheme that the romanian government has adopted in order to help the grow of renewable energy market.